The sleek, green machines now available across the island. 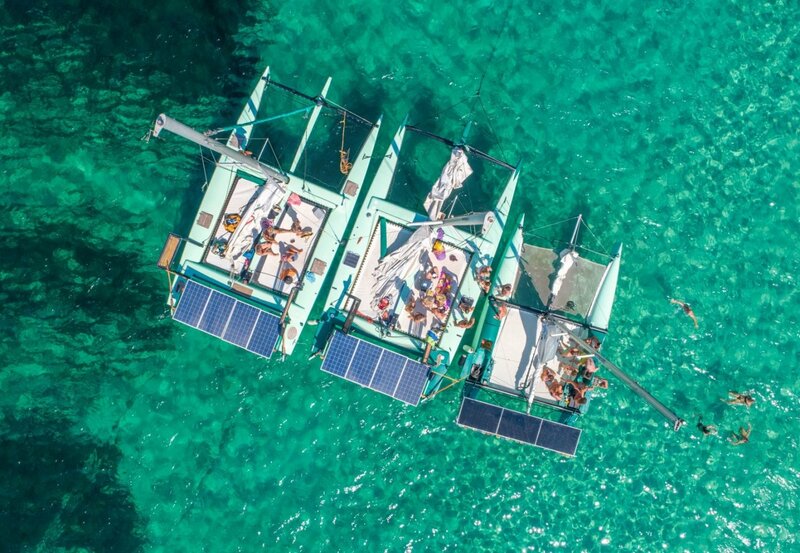 Green energy eco-pioneer, La Bella Verde, is celebrating the expansion of its fleet of solar-powered catamarans this year by offering Ibiza Spotlight site visitors a 15% discount on trips during the months of April and May. These tranquil, eco-friendly voyages of Ibiza and Formentera's coastline have been a great success and, to mark that, new departure points are being introduced this year from San Antonio, Cala Tarida and Santa Eulalia, as well as its home base of Las Salinas beach. True to the company's ethos, all voyages include refreshments and gourmet lunches, made with organic and locally-sourced produce. The company's vision is transform the boating industry and now, with the help of experienced boat builders, its carbon-neutral craft will go on sale this autumn for private purchasers. La Bella Verde's innovative vessels are powered by wind and electric motors, recharged by advanced solar panels and have minimal environmental impact. You can hire a La Bella Verde catamaran for all sizes of groups with small, medium and large cats available. Group sizes can be as small as two for a small boat and up to 11 for the largest catamaran. Larger groups, of up to 35 people, are easily accommodated by grouping together two or three of the planet-friendly catamarans. One per cent of all charter sales' income is donated to the La Bella Verde Foundation, which works to protect against the environmental impact of tourism in the Las Salinas Nature Reserve.